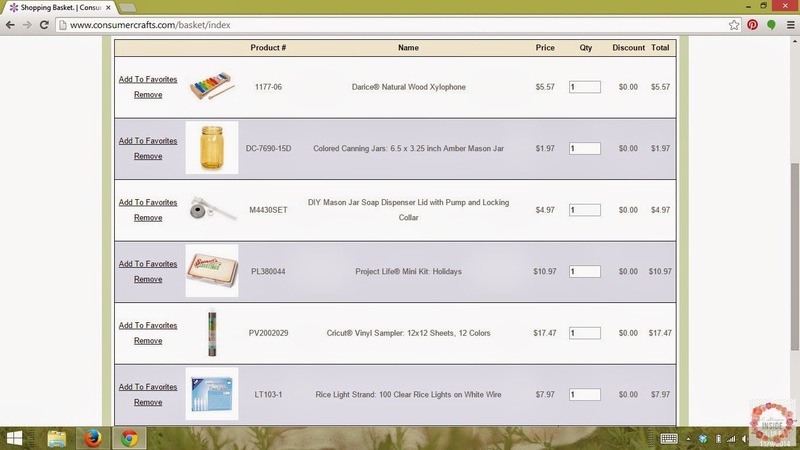 The site is very easy to navigate with drop down menus to help you narrow down the area that the item you are looking for may be found. 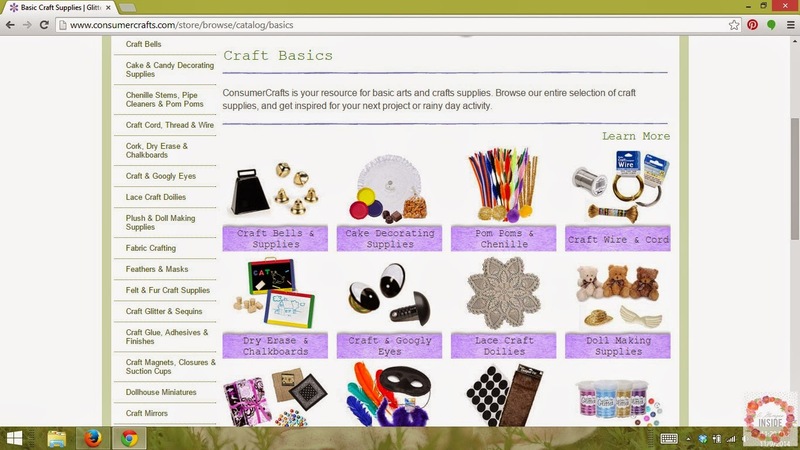 But you could also just click on the navigation bar and it will take you to a page full of the options and photos for each category. 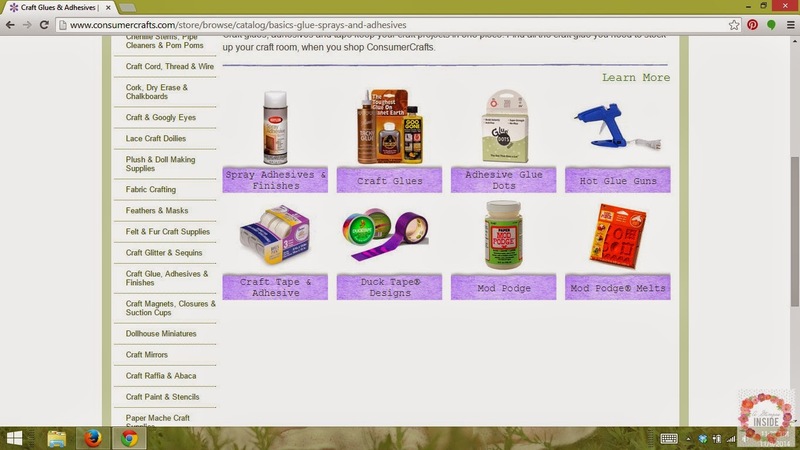 So if you are looking for adhesive options, click on Craft Basics or hover over the drop down menu and select Craft Glues, Adhesives, and Finishes and you will see all your options! They definitely have you covered! Checking out is super simple as well. 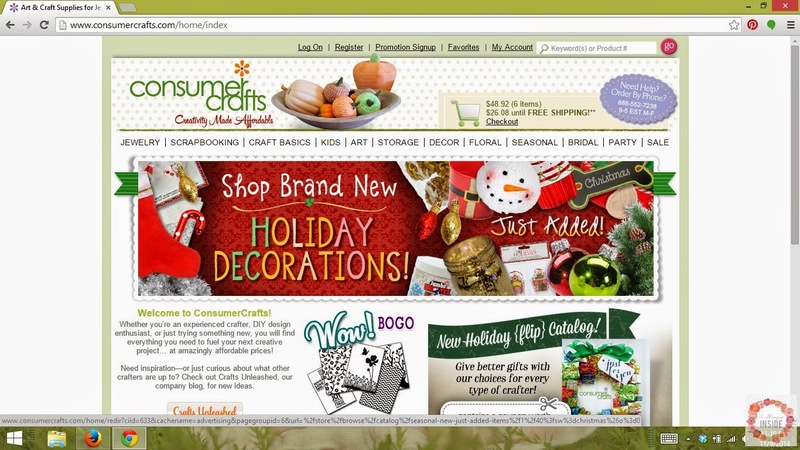 You can either register with the site or check out as a guest. And if you spend over $75, you get FREE shipping! That is always a good thing! 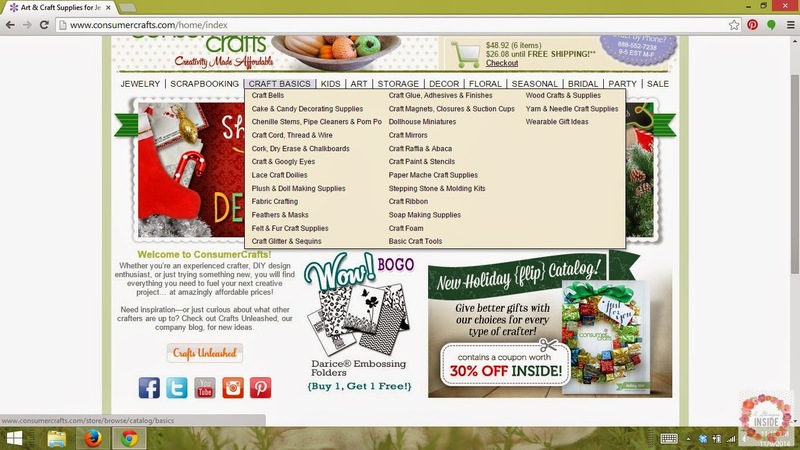 So next time you have a project in mind or even want to make something handmade to give as a gift, be sure the check out Consumer Crafts! 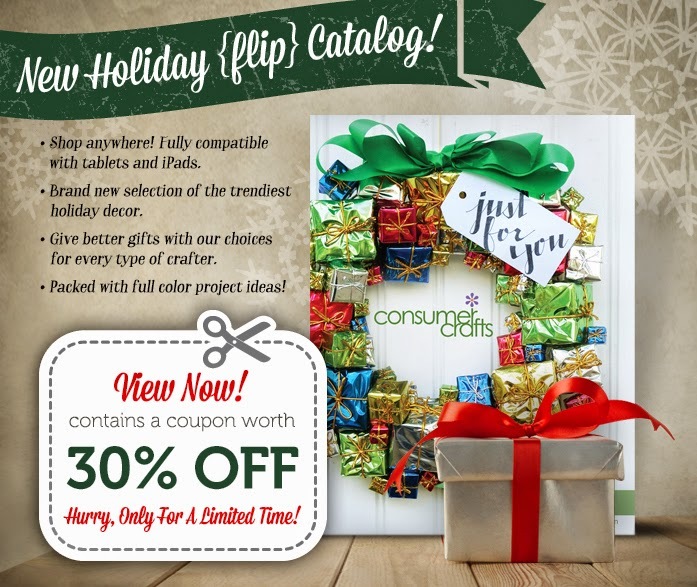 Be sure to check out their seasonal catalog that has coupons and product ideas as well!